How to Extract Chapter from iTunes Videos by Clipping on Windows? 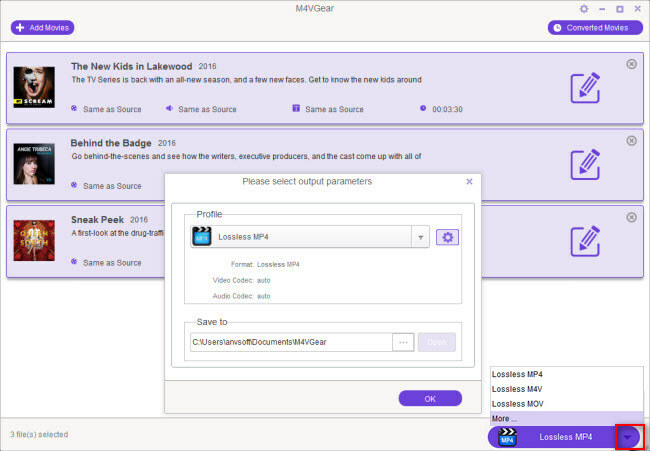 M4VGear DRM Media Converter for Windows is the fastest software to remove DRM protection from iTunes media files and convert M4V to commonly used non-protected formats including MP4, AVI, WMV, MOV, MPG, etc. 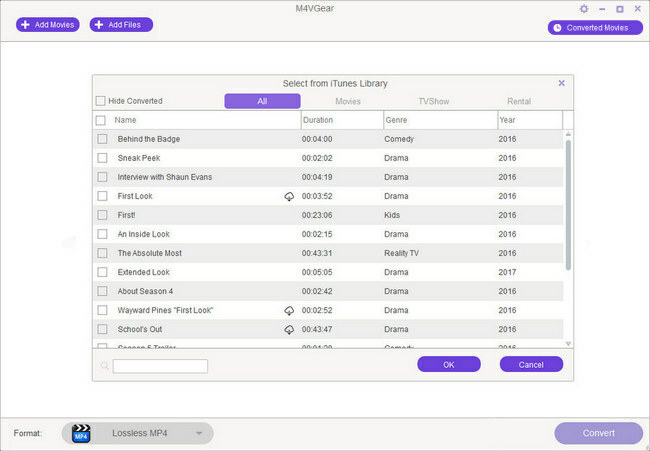 Besides a powerful DRM removal tool, M4VGear DRM Media Converter for Windows also enables users to extract chapter from the whole iTunes videos by clipping. 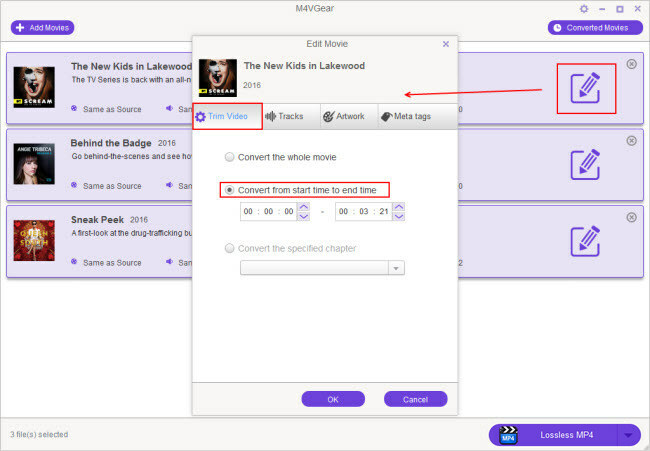 Double clicks to launch the M4VGear on your Windows and click on the "Add Movie" button. There will pop up iTunes library showing all the movies, TV shows and other M4V videos you purchased or rented from iTunes. Please choose the videos you want to convert and click "OK" button. 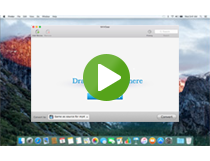 Before conversion, it's available to choose unprotected video and audio formats like MP4, MOV and MP3, etc. from the Output Profile button on the bottom right corner. Output format as "Losslss MP4" is highly recommended, which enables users convert at 20 times faster speed with Dolby 5.1 audio track preserved. Click the pen icon and then choose "Trim Video" option, adjust the Start and End time to convert the clips which you want. After the adding and setting work have been done, you can remove iTunes DRM protection and extract chapter by clipping with only one click.